Gordon's STEM Blog: 5G? 6G?? How About 200G?! 5G? 6G?? How About 200G?! Back in 2013, Verizon ran a successful 200 Giga-bits-per-second (200Gbps or 200G) trial in collaboration with communications equipment manufacturer Ciena. The trial was done over optical fiber using a single wavelength. Well - trials are trials - done in optimized and controlled laboratory type settings by people in white lab coats. Experts speculated whether these kinds of bit rates could be achieved in the real world. Well.... guess what? Earlier this month, Verizon provisioned 200G technology using the same Ciena gear on an ultra-long-haul production network between Boston and New York without impacting live customer traffic on the same network and without making any modifications to the existing fiber or network infrastructure equipment. The new Ciena gear was only added on each end of the communications channel. Significant? You bet. More information on a single wavelength over long distance without any loss of signal quality. All this without having to upgrade fiber and infrastructure equipment in the field. It opens the door for the possibilities of much higher bit rates over existing fiber-based networks. 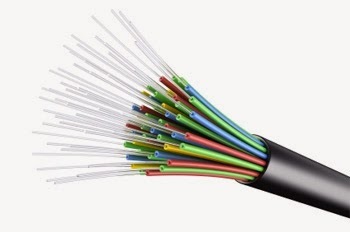 We'll see 400 Gbps soon and yes even Tera-bit-per-second (Tbps) rates over existing optical fiber infrastructure soon.